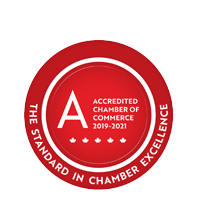 The St. Thomas & District Chamber is one of the largest not-for-profit community agencies in southwestern Ontario, dedicated to being the voice of business and being focused on economic success & community prosperity within the City of St. Thomas, Municipality of Central Elgin and the Township of Southwold. We are part of the world-wide Chamber of Commerce/Boards of Trade network, and we recognize and support over 550 local businesses and organizations as Members. Information and communication are the foundations of our services. Our goal is to be the best source of community and business information in our region, and to provide our Members with programs, products and services that make business better. We offer a variety of networking and contact-building opportunities for our Members including our monthly Business After 5, Members' Golf Day, MP & MPP Luncheon, State of the Municipalities Luncheon, Meet The Makers and more. Coming up on May 9, we are excited to announce an event with retired CBC News Chief Correspondent Peter Mansbridge! Check our Events section below for details and ticket information. In 2018 we launched our quarterly Success Through Sharing talks featuring local businesses speaking about how they began, trials they faced and how they persevered to the success they are today. Looking to save money? Our Member Benefits Bundle can do a lot for you with savings on home/auto insurance provided by Reith & Associates, access to the national Chambers of Commerce Group Insurance program via ARC Benefits Planning, First Data payment processing, UPS courier and freight, ESSO and more. More program details can be viewed by clicking on the Member Center tab at the top of this page. For more information, please contact Barry Fitzgerald or Christy Hunking.